Did you get bad mark at the quiz today? Did you get yelled by your boss in the office today? Did your kids make some trouble again in their school? Did your sister keep telling you that she wants a divorce with her husband? Was your neighbor being annoying and you were convinced she was trying to drive you out of your house today? After a day like that, at night, what do you want to do? Sit in front of TV, watch your favorite series, with a bucket of ice cream and chocolate chips? Go to your favorite bakery and order all the cakes, doughnuts, muffins, and pastries that you’ve been trying to hold back from yourself? Or simply order your favorite delivery – either greasy chinese or pizza – and eat until you feel sleepy? But… I’m sorry that I have to break a bad news. Apparently, those options aren’t as good as they look. Recently, several research have been conducted and they found that stress and health problem are actually linked. Stress has been proven to be a factor that causing health problem, including headache, gastrointestinal problem, and even more severe illness like heart disease, Alzheimer’s and diabetes. And, the way you handle that stress also can be another factor to those health problems, particularly diabetes. If your stress relief is anything like eating sugary, fatty, and high carbs food like above, then you’re actually doing stress relief wrong. We will never bring you bad news without providing the good news to counter it! And the good news for today’s bad one is: there are ways to avoid diabetes by keeping your stress level in check. How to do it? Scroll down to find out! What happen to your body when you get stressed? It prepares yourself to ‘fight or flight’ the stressful situation that you’re encountering. By ‘preparing’, your body actually means ‘releasing special hormones’ into your body. These special hormones are often called ‘stress hormones’ and they are including adrenaline, growth hormone, and gluco-corticosteroids. When one of these hormone is secreted, it stimulate your body to release stored glucose into the bloodstream, increasing your blood sugar level. For normal people, when blood sugar is increasing, their body will release insulin to convert that blood sugar into energy that is necessary to ‘fight or flight’. But, when you are diabetics, your body is struggling to produce insulin and your blood sugar can’t be released into energy or stored back into your cells – resulting in your blood sugar stay in elevated level even after the stressful situation is over. 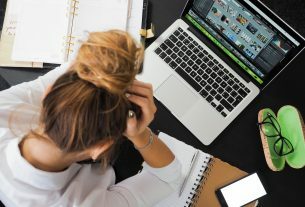 If you are exposed to this stressful situation for a long time (and this is what you most likely experiencing) – like work stress, childcare stress, or school stress, then it means your blood sugar will be continuously high and if your insulin level can’t keep up – it will be dangerous. There is another thing that help your blood sugar increases beside the stress hormone. It is when you react to stress negatively. Like, when you are stressed out, you find your energy is depleted and you don’t feel like doing anything. You will be less likely to exercise. Like, after a hard day at work, you feel like have no energy to spare to run around your neighborhood or hit the gym. You’d rather jump into your bed and bury yourself there until morning comes. And then you will be less likely to manage the food you eat. Like, after a hard day at work, would you ever think about making a healthy and nutritious homemade meal? You’d rather just order a box of pizza or grab a fast food from drive in. But, these are considered unhealthy lifestyle. And as the name suggest – that lifestyle will affect your health negatively. Being constantly exposed to stressful lifestyle doesn’t mean you can’t escape stress. Also, being surrounded by evil things that promotes unhealthy lifestyle (including but not limited to fast food chain, TV, and alcohol) doesn’t mean you can’t choose the lifestyle that you want! Here, we’ve listed several stress management method that can improve your lifestyle and keep your stress level in check! Type 1 diabetes is when someone’s immune system actually destroy the cells that makes insulin – and their body can’t produce insulin at all. Think about leukemia but it eats insulin instead of blood cells. It can’t be prevented. Type 2 diabetes is what most people refer when they talk about diabetes. It is condition where the insulin maker cells produce too little insulin or the body can’t use the produced insulin immediately to control blood sugar. Unlike type 1, it can be prevented with healthy lifestyle that include healthy diet, exercise, and stress management. Here’s to healthier lifestyle and controlled stress! Urban worker life? Housewife life? College student life? Freelancer life? Each lifestyle, I’m sure, has its own stress trigger. For urban worker, they will be familiar with long and crowded rush hour commuting, heavy workload, bad boss, toxic coworker, and maybe even low salary! For housewife, they will be familiar with the stress of preparing meals three times a day (especially the world war that is morning preparation before kids going to school and husband going to work), troublemaker children that continuously needs clean up, and even financial stress from trying to balance the income and household expenditure. … and then tweak them out! Change the way you handle that! For example, you’re sick of crowded subway every morning. Try other transportation method – like going by bus or going together with your coworker’s who live in your area. Maybe you want to ask for a raise. Maybe you want to be more proactive to your toxic boss. Or, as housewife, maybe you want to learn handy household tricks like pre-cook all next week meal during this weekend – so you only need to warm them up throughout the week. Maybe you want to teach your kids more discipline. Those were only the example, but the idea is – find out about your own lifestyle and check what’s make you hate that lifestyle. And, the cause must be specific like from the example above. Remember, a mere lifestyle can change whether you’ll have health problem in the future or not! Seriously, good eating habit is the easiest way to barricade yourself from stress and health problem that consequently follows, including diabetes. Good food will provide you with nutrition that help your body more resistance toward fatigue and mood swing that you probably experience during stress. And, the habit of eating only good food will make your body automatically avoid bad food even when you’re stressed. Make eating schedule. Eating regularly is important to make sure your blood sugar level not dropping (it can make you tired and irritable) and to make sure your body isn’t depraved of any nutrition it needs. If you can’t make it due to packed schedule, you should prepare small, healthy food that you can eat quick (a.k.a healthier fast food!) like yoghurt, fruits, cheese stick, or protein bar. Make your menu each meal consists of fibers in majority (with vegetables and fruits), lean protein in minority (like poultry, seafood, tofu, and low fat dairy products), and then even smaller carbohydrate (better whole grain or unprocessed grain, like rice, whole wheat bread, or pasta). Drink water and limit other bottled beverages. Each person has different needs of water intake depends on their body weight but mostly they’re around 8-9 glasses of water per day. If you want some flavor to your drink, make your own infused water with fruits instead of bottled beverages – they mostly have sugar added. For a more thorough diet plan, we recommend you to make a diet plan based on the nutritious value in your food. Sounds difficult? The End of Diabetes by Joel Fuhrman, M.D. will guide you to make a good one. We know laughing is good medicine (as long as you’re not overdoing it). That’s what we’ve been told for a long time. And it is indeed good medicine. It is proven to reduce many health problems caused by stress, anxiety, tension, and even do good for blood pressure and respiratory rate. But, surprise, laughter can also decrease your blood sugar! Recent research from Japan, led by Keiko Hayashi, PhD, confirmed this. In her research, she concluded that there is “the importance of daily opportunities for laughter in patient with diabetes”. Laughing is not difficult to do at all! It is not expensive either. And unlike exercising, you don’t have to collect your hard will to do it. After all, who aren’t excited to watch some comedies? Reading funny anecdotes or memes from internet. Ready to de-stress and de-sweet your body? Diabetes is one of the health problem caused by stress. It’s dangerous for your future and may affect your quality of life. For diabetics, stress can increase blood sugar and worsen your condition. So, make sure not to be too stressed! Apply our tricks above in your life and tell us how it goes! We’d like to hear your story in the comment section below! Levine, LA; Becher, E; Bella, A; Brant, W; Kohler, T; Martinez-Salamanca, JI; Trost, L; Morey, A (April 2016). “Penile Prosthesis Surgery: Current Recommendations From the International Consultation on Sexual Medicine”. The Journal of Sexual Medicine. 13 (4): 489–518. doi:10.1016/j.jsxm.2016.01.017. PMID 27045255. Christie Blatchford (May 2, 2001). “The beauty butchers”. National Post. Retrieved July 14, 2014.